So you think you know about rice? What’s your favorite? Brown, white, black or basmati? Short grain, long grain, jasmine, or sticky? The list goes on and on from types to preparations and flavorings… BUT – how much do you know about what it does on your skin? Rice is a staple of so many cultures’ diets that given its prevalence around the world, it’s no surprise that it has made its way into skin treatments. Overall, we know rice is good for your skin, but what it does really depends on what part of the rice makes its way into your skincare products. Let’s go on a quick exploration on the different parts of rice and what it does for your skin. Rice bran oil: Rich in Vitamins B and E, rice bran oil increases elasticity of your skin and keeps it hydrated and soft. Rice bran oil is unique in that it contains different kinds (vs just one kind of) Vitamin B and Vitamin E, making it a more complex and wholesome ingredient for your skin. You can find it in our naturally anti-aging Sweet Black Tea & Rice Facial Moisturizer, and our Sweet Black Tea Eye Creme. Rice starch: Women in Indonesia traditionally wash rice grains in water and then use the milky rice water to rinse their faces to get smooth, soft, supple skin. The rice starch that coats the outside of the rice husks have an extraordinary ability to hold in moisture, and its benefits are felt immediately on the skin. This oil-free humectant helps hold moisture to skin, and can be found in our sulfate-free JUARA Rice Facial Cleanser and JUARA Rice Facial Scrub. Why is in there? Rice starch is the secret ingredient that will keep your skin smooth and soft after you wash it, and helps prevent overdrying , which can lead to irritation and that uncomfortable, taut feel. 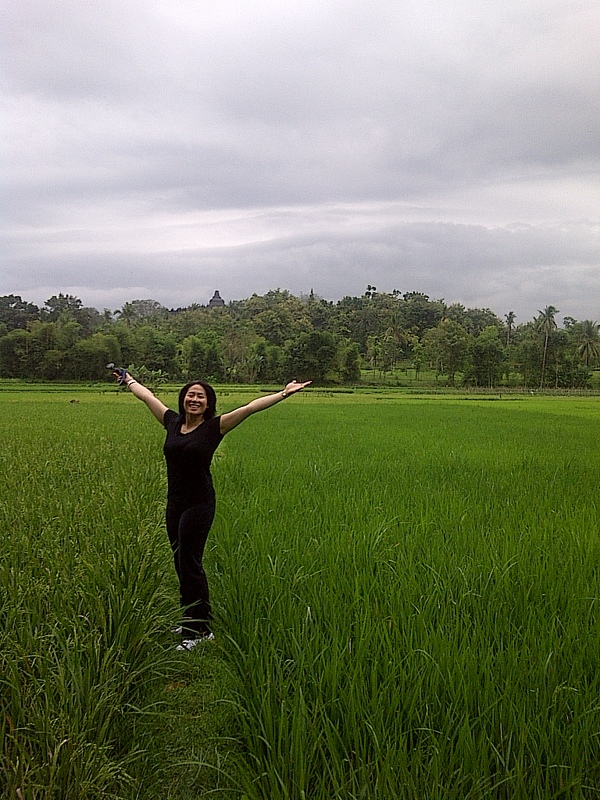 Rice bran extract: This ingredient helps calm skin and reduce redness. You can find this in our Tamarind Tea Hydrating Toner. Though it’s not in the name of our product, this powerhouse of an ingredient makes our toner perfect after washing your face as it not only hydrates but also soothes and calms – especially if you have redness, irritation, or even (or especially, actually!) sunburns on your skin – both on body or face. It also double-duties as an alcohol-free aftershave, soaking the skin with delicious oil-free hydration while soothing the shave. Plus, no cotton ball needed! Just pump into hands, and apply to face. Do you have favorite products that also include rice? My cold cure in a ketchup packet. About 2 days before I was supposed to get on a flight to be the maid-of-honor of JUARA girl Tami’s destination wedding (read: lots of duties! ), I woke up in the morning feeling like a truck had rolled on me – and forgot to roll off. I took stock: Sore muscles, Runny nose, sneezing, headache and sinus pressure, sore throat: CHECK. As I was curled up shamelessly and miserably on the doctor’s examination table later that day, he breaks it to me that I have a really nasty, mean, vengeance seeking cold virus. Since there was nothing he could really prescribe that would kill a virus, I got sent home with a prescription for some OTC sinus relieving medicine and a ‘just rest and good luck!’ Not even a ‘take an aspirin and call me in the morning.’ Gee. But he did not know of my secret weapon in my medicine cabinet, my staple friend: the good ol’ Indonesian Singkir Angin herbal tonic in a concentrated single-dose packet. It’s from the company called Nyonya Meneer (Madam Meneer) today a 4th generation jamu (Indonesian herbal tonic) company started by woman healer (Mrs. Meneer herself) in her home. It’s basically like a liquid Ricola shot with a bazillion good-for-you herbs specifically formulated to help get rid of colds, achey bodies, and general malaise. The one I have is specifically good as it includes echinacea to help boos the immune system. It’s sweet, tasty, and minty and sold in single servings packets, it’s so easy to keep at home and at the office. So what else is in this wonder drug cutely packaged in oversized ketchup sachets? Here’s a cute little commercial for it. Although different brands may have variations, the core ingredients are the same. It contains fennel extract which helps relieve colds and pain associated with cold illnesses, combined with clove leaves, ginger, mint and menthol, valerian, echinacea and ginseng to basically soothe the symptoms of the cold while calming your digestive system, helping you be relaxed and comfortable while your body heals. Naturally sweetened with honey, which is also anti-bacterial, it’s not just the ingredients used, but the combination together that makes this a synergistically more powerful concoction, traditionally drunk in Indonesia for centuries. This recipe from the old healers of Indonesia hasn’t been passed down for centuries for no reason, their combo works! Just tear it open and take a single chug when feeling down, it’s my happy place when I get sick. I take it and give it to all my sick friends and feel OK doing so because I know the ingredients are natural and safe. My sister came up with a brilliant way to drink it – pour the contents into a cup, (there’s only like, 2 tablespoons worth,) add a little hot water in it and, and feel the aroma of sweet menthol cutting right through your sinuses like a ray of clear sunshine through the clouds. 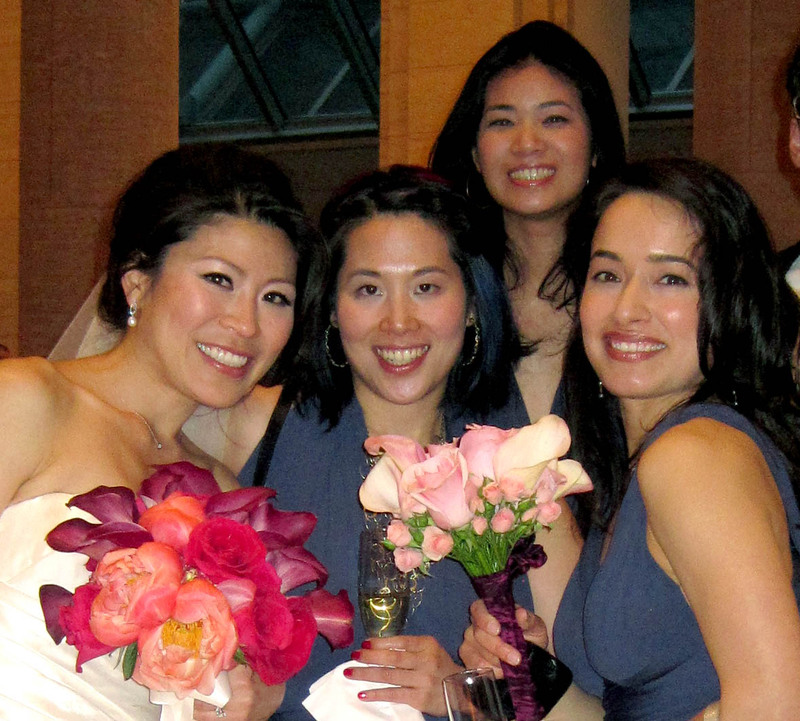 The most important part: Did I make it to the wedding? 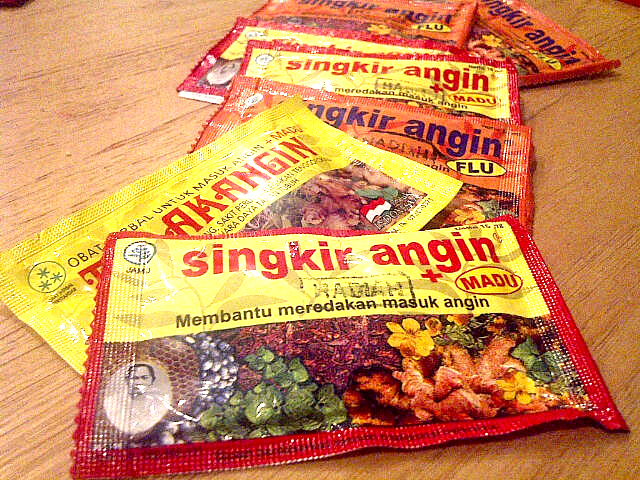 With rest, several Singkir Angin sachets a day, I did! I felt pretty good, good enough to make through all the late-night parties and no one even knew I was a total wreck just a few days before. Amazing what a few little plants can do! For more information/articles on Jamu and Indonesian herbal/beauty tradition, search “JAMU” on this blogsite! Do you have any favorite at-home cold remedies?